Secret discounts paid by drugmakers to pharmacy benefit managers are going away so now what? Pfizer Inc. CEO Ian Read said on Tuesday July 31, 2018, "drugmakers will likely get rid of secret discounts to middlemen that have become a focus of the U.S. drug-cost debate." What are these secret discounts and who are these middlemen to whom Ian Read is referring? Rebates are secret discounts drugmakers use to compete for coveted spots on pharmacy benefit managers’ formularies or lists of covered drugs. The intent of these discounts is to help lower overall drug costs for third-party payers and patients. Middlemen who negotiate drug rebates on behalf of employers and health plans but hide rebate revenue are called non-fiduciary pharmacy benefit managers or NFPBMs. Whether or not rebates, as a hidden cash flow, completely go away or how long it will take for drugmakers to get rid of them is unclear. Let's not be naive. If rebates go away do you believe for one second CVS Health's or Optum's PBM revenues will decline? Not a chance as they will shift your costs elsewhere. Here's a look at some of the ways non-fiduciary PBMs will grow revenue despite the elimination of rebates. 1) There are plenty of other opaque discounts to be had. WAC is the list price for wholesalers yet they also receive volume discounts from drugmakers beyond WAC. A lower list price doesn't necessarily translate into lowest "net" price to the self-insured employer. A PBM could negotiate a big discount yet not pass all of the savings on to the self-insured employer by billing a higher price, for example. 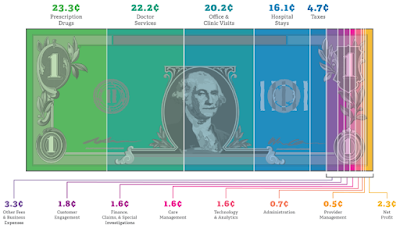 In order to determine what the PBM actually pays, demanding radical transparency will be key. 2) Vertical Integration. It is cures or "near-cure" high cost medications driving integration. When PBMs and insurance carriers carve-in the medical and pharmacy benefit it often requires self-insured employers to relinquish flexibility and cost controls. Simply put, it’s going to be more difficult to get behind the curtain. For instance, plan members may pay U&C (usual and customary) prices. 3) Unsophistication. PBMs, and healthcare systems for that matter, are applying their drug management expertise to the medical side far more than they are letting on. Complicated algorithms determine which drugs stay on the medical benefit versus the pharmacy benefit, for example. The decision-making process as you might guess considers cost share. It took 20 years for rebates to come under serious fire. Non-fiduciary PBMs are counting on the unsophisticated plan sponsor to wait another 20 years before taking action on exorbitant drug prices on the medical side. The Trump administration is weighing a proposal to overhaul regulations governing the rebates, which could limit their use and increase competition between drugmakers, while helping some patients. The federal anti-kickback statute allows “safe harbor” to protect the use of rebates. I can't say that I blame the administration. Non-fiduciary PBMs are pocketing the rebates and sharing them with insurers. Too little of that revenue goes to self-insured employers and even less, if any, to the patients whose prescriptions make the rebate revenue happen. Even more, non-fiduciary PBMs generate the most rebate revenue on prescription drugs for the sickest patients. 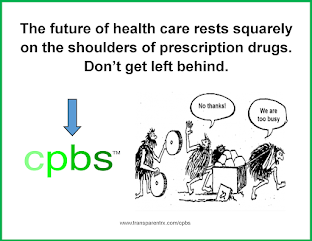 Of the more than $100 billion in brand rebate revenue non-fiduciary PBMs receive annually, half are from medicines for cancer, MS, HIV, hepatitis C, etc. While non-fiduciary PBMs should be criticized, it's important to note that they are playing with house money. That is, the rebate revenue comes from drugmakers. I believe more drugmakers will start passing rebates directly to third-party payers and patients in the form of lower list prices. Ultimately, lower list prices should reduce cost sharing, improve adherence and save lives.